has black glass eyes, black felt foot pads and a black and stitched nose. 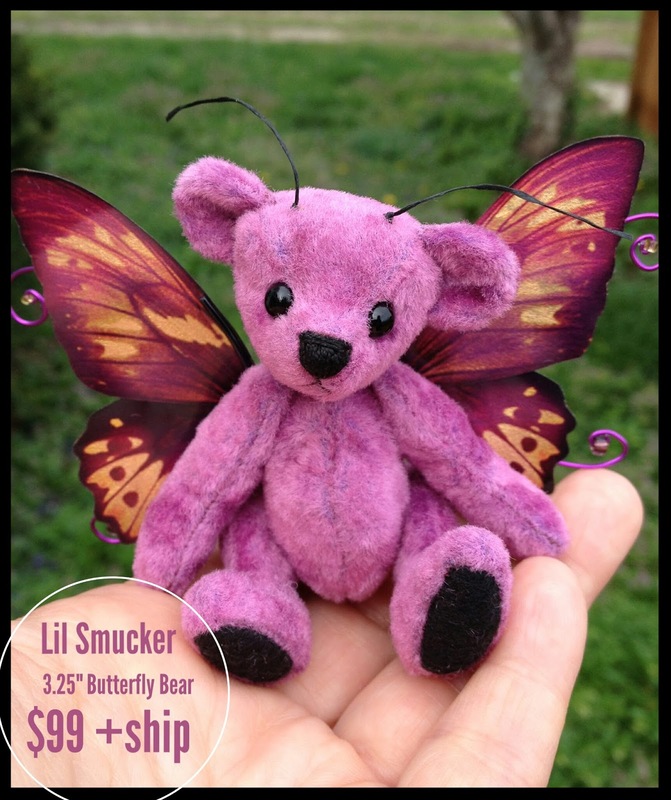 Lil' Smucker has hand made wings created by another artist. 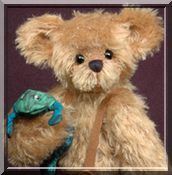 He is fully disc & cotter pin jointed. He's been filled with many hugs, and also fiberfill and tiny steel beads to give him a little weight.